It’s National Cookie Day, you guys. Do you know what that means? 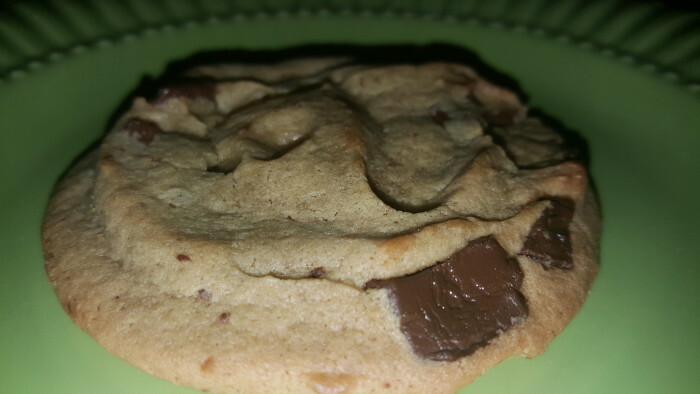 Fresh-baked, melty-chocolatey, delicious cookies should get in your belly. Immediately. 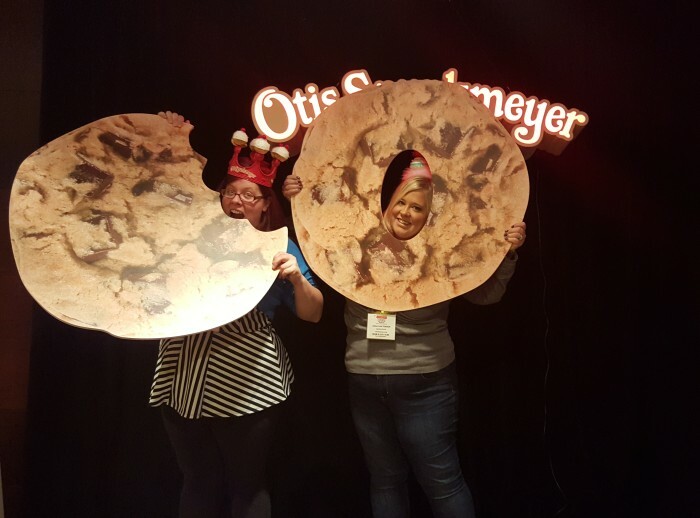 This post is sponsored by the fine people at Otis Spunkmeyer, several of whom I met a few weeks ago in Chicago while sampling their delicious snacks. As always, these opinions, ideas, and word babies are all mine. This is my new blogging bestie Anna from Anna Dishes. If you like food or flowery things, she’s your girl. She’s also DEFINITELY one of my soulies, as we bonded over a lot of food and booze AND she let me stalk her the entire time she was here in Chicago. You’ll note she looks adorable while I don’t have a normal bone in my body. I love cookies. I’ve always been something of a cookie monster. C is for Chrissy. And cookie. Coincidence? I think not. I was raised to love cookies. I blame my dad. And grandfathers. They were all cookie monsters too. Well, my dad still is. One of his favorite gifts on birthdays and Christmas (a bottle of Courvoisier, wine, or scotch notwithstanding) is cookies. When I was in high school, there was a little cookie stand down in the basement by the Driver’s Ed simulator hosted by Otis Spunkmeyer (you remember Otis Spunkmeyer for their amazing cookies, probably in high school or college, right?) One of the teachers – I think he was a teacher – would be there every morning 20 minutes before school started through 2nd period, selling cookies. I think it was like 3 for a dollar or something. Whenever I had time and an extra dollar, I’d mosey on down and order a triple chocolate chip cookie (chocolate cookie with milk and white chips), white chocolate macadamia nut cookie, and oatmeal raisin. And then I’d eat them in all their melty, fresh-baked glory. I’ve always wished I could make delicious cookies like that. I’ve made some pretty UNPRETTY cookies in my time. 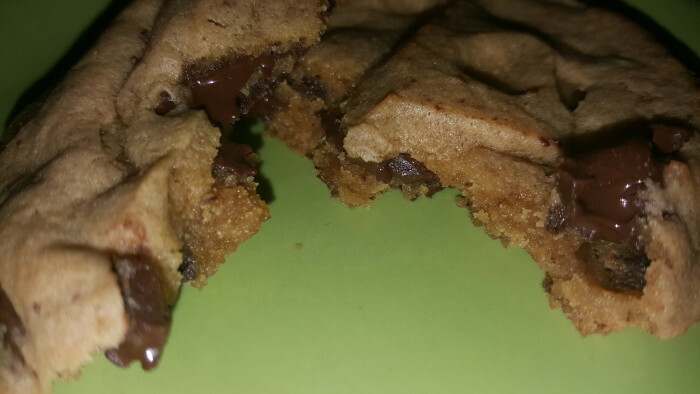 Flat cookies. Burnt cookies. Undercooked cookies (okay fine. Those were cookie dough balls and I ate them all). 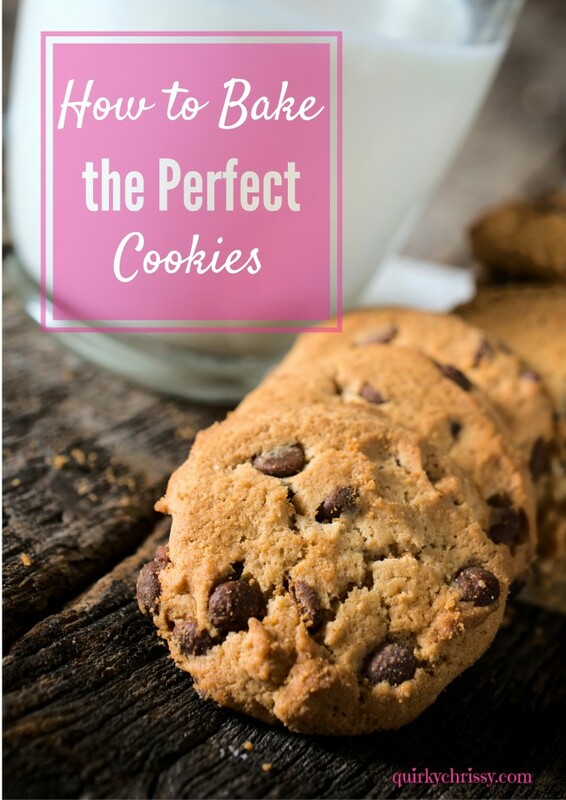 BUT…I’ve discovered the secret to perfectly baked cookies every time. To make the best cookies, it’s a four step process. First, you remove the cookies from their wrappers. These Otis Spunkmeyer treats (which will be available in a grocery store near you starting early next year) are made with no funky stuff, so they taste just like Mom made them (but with so much less mess). 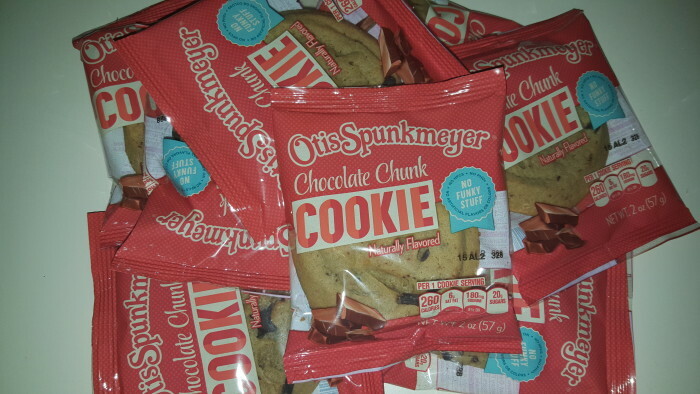 Otis Spunkmeyer cookies come individually wrapped with no funky stuff! 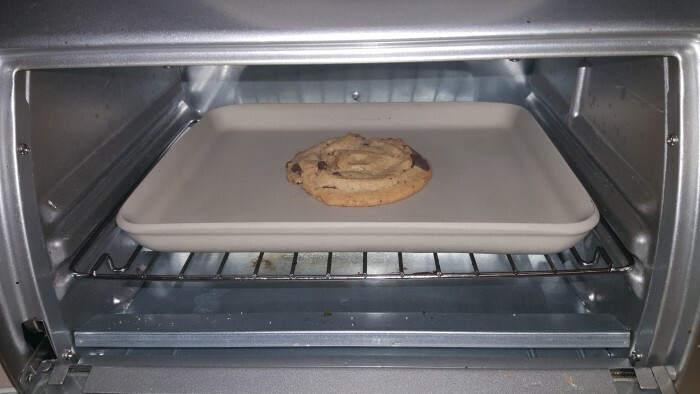 Then, you place the cookie on a pan (I used a toaster-oven-size stone baking sheet for added crisposity). Bake the cookie for 5-7 minutes until it’s warm to touch and the chocolate starts getting a little melty (wait too long and it’ll be super messy, but probably super delicious). See how easy it is to celebrate National Cookie Day? That was my breakfast. I’ll probably have another cookie for dinner. And maybe one for lunch. Brian usually discourages this sort of behavior…but he’s not the boss of me! Extra details on the Otis Spunkmeyer retail line of products: So much goodness is coming your way, you guys. They’re launching snack cakes, muffins, mini muffins, and of course, cookies. They’ll be in stores and on Amazon Prime Pantry so you can get your fill of deliciousness whenever you want it. And let me tell you. I tried them all, and you will not want to miss out (especially on the lemon cakes). What are your favorite cookies? Do you have any cookie memories of Otis Spunkmeyer? Are you as excited for this product launch as I am?